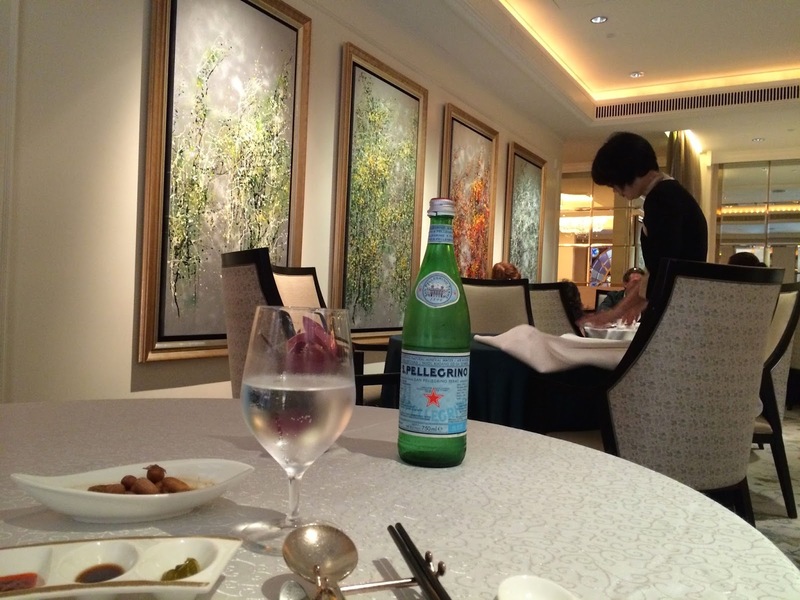 This was my first time at the St. Regis in Singapore and I liked what I saw. Upscale and opulently fitted, the St. Regis is exactly what you expect from the brand. 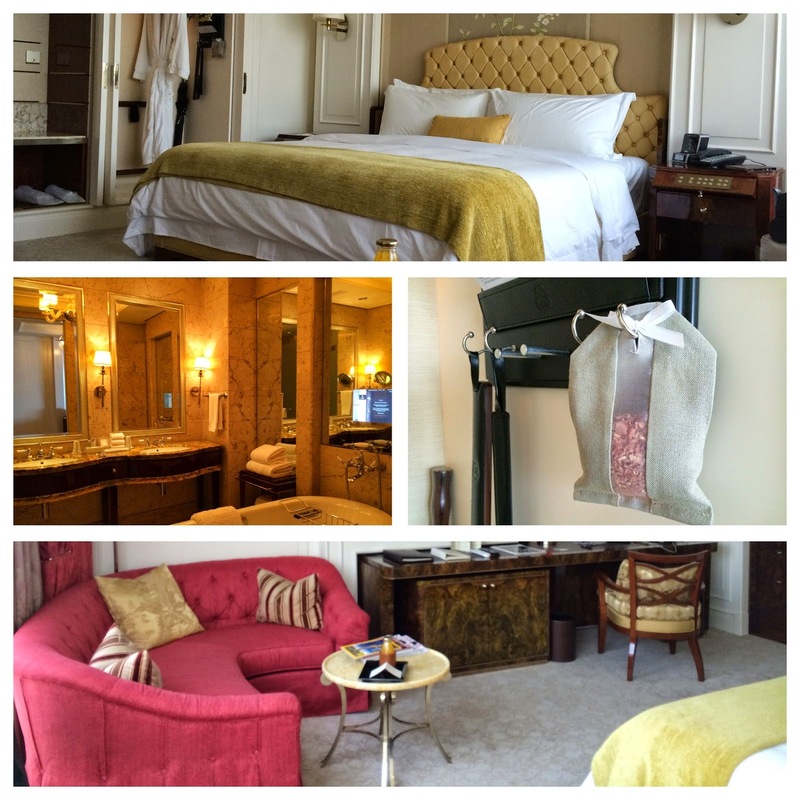 The rooms were airy and comfortable with an attention to detail. Yang Ting was perfectly at home in this hotel. Suitably upscale with large paintings, white tablecloth and live music, this can be a wonderful place for a special dinner. However, on a Sunday lunch, the dining room was filled with large groups of expat and local families, with kids happily running around as the adults ate and conversed. I didn't particularly mind that since I was dining alone! The Dim Sum brunch menu at Yang Ting is a very large one. I could come back multiple times and not have to repeat dishes! I eagerly waited for my feast to begin as I nibbled on boiled peanuts. 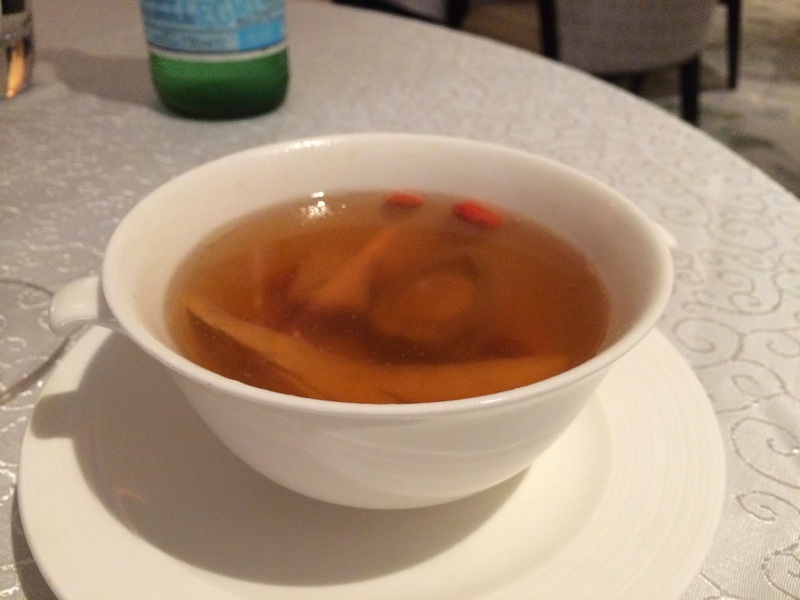 I started off with a familiar portion of salmon sushi and followed with one of their signature dishes: the double boiled abalone soup with chicken. Since this was my first abalone tasting, I cannot say how good it was. 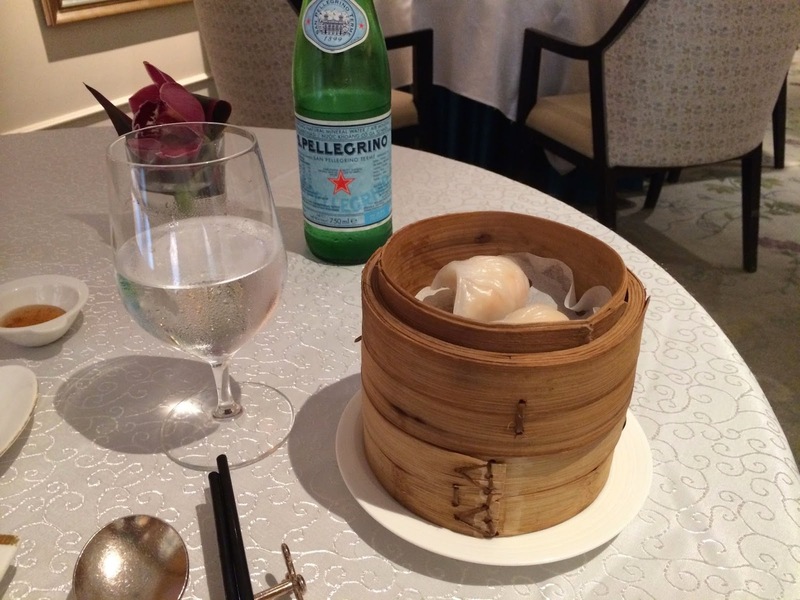 However, it was special for me, knowing that this water snail is considered luxury food by the Chinese. 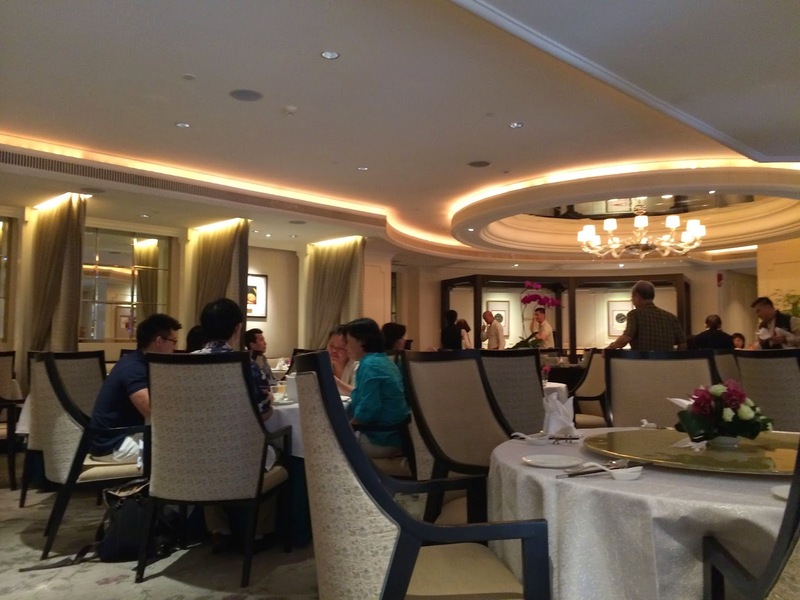 So much so that Chinese Premier, Xi Jinping, recently banned it (along with shark-fin and birds-nest soups) from official menus as a part of his drive against extravagance. 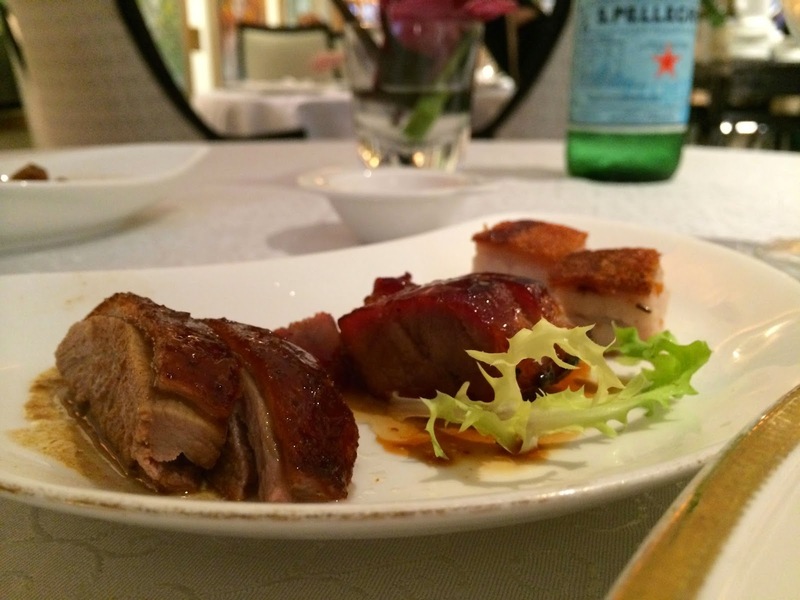 Next came the trio of barbecued pork with honey glaze, roast duck and crisply roasted pork. This was a delightful dish of contrasting textures and tastes. Loved it! Up next was steamed crystal shrimp dumplings made with bamboo pith and steamed pork and shrimp dumpling with black truffles. Both were very good, but also fairly familiar to my taste buds. All of the dishes until now were the warm up act for what came next! 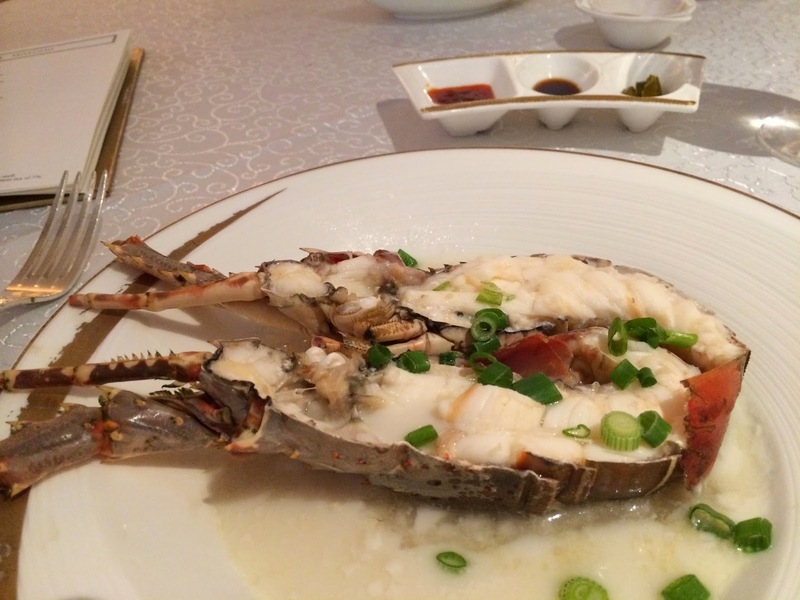 Yang Ting's signature dish of lobster steamed with egg white and Hua Diao wine. This was a dish unlike anything I had eaten before. Delicately flavored, the lobster meat and the thick custardy sauce, was fantastic on the palate. I had picked a vegetable dish too. 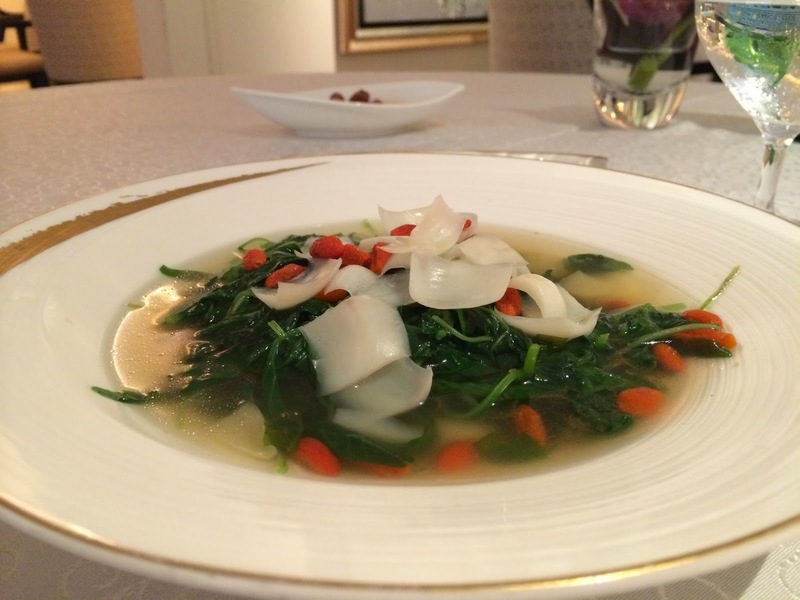 The poached seasonal greens with fresh seasonal lily bulbs and wolf berries was pretty good. The greens appeared to be tender fenugreek. 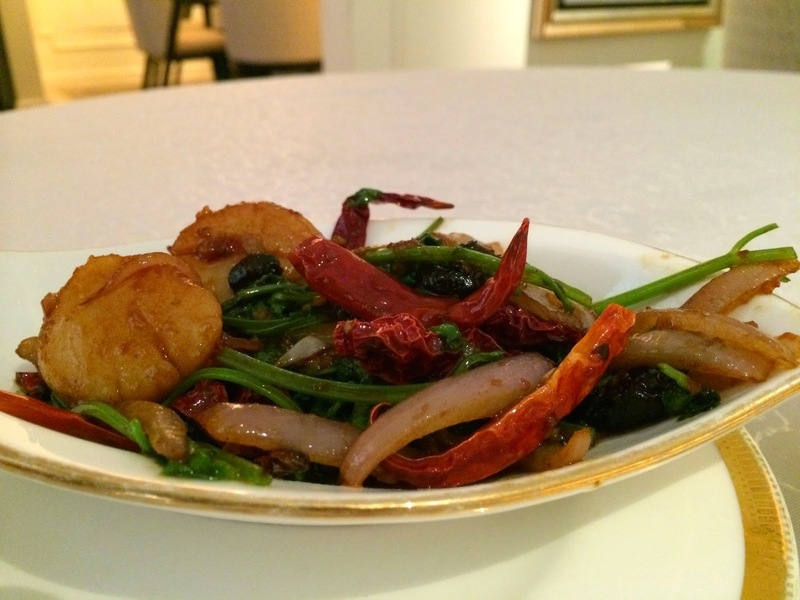 The wok-fried jasmine rice with barbecued pork in XO sauce and the sautéed scallop with dried red chillies and shallot were the final two savory dishes of the day. Both were excellent. 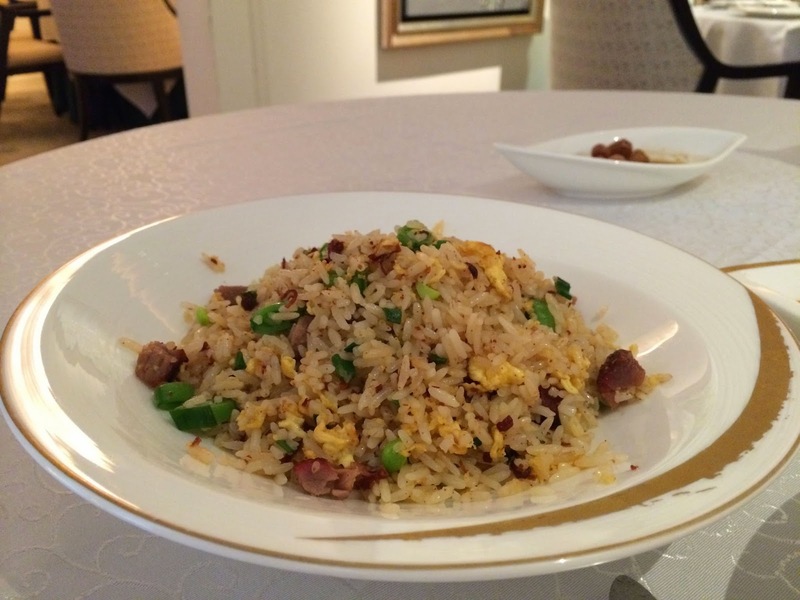 The pork was flavorful, the rice well cooked and the chillies pungent the way I like them. 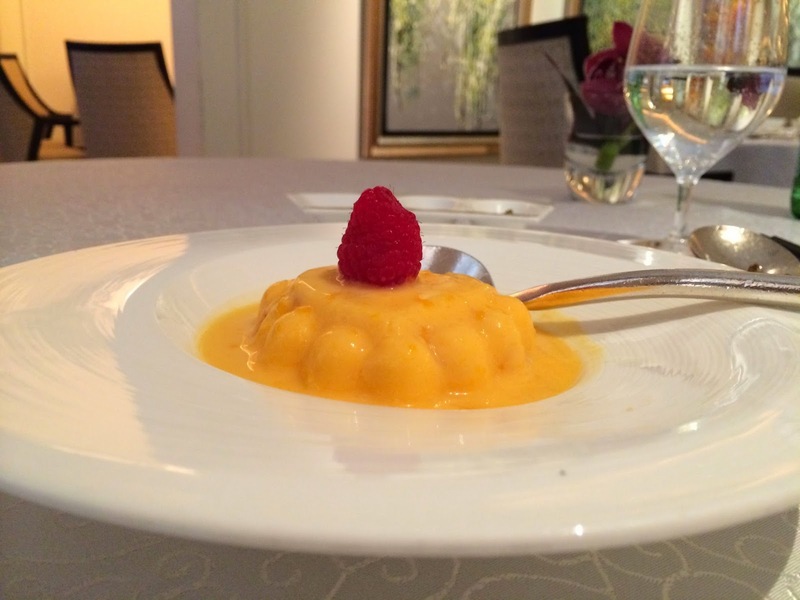 I only had place for a small portion of Mango Pudding for dessert after all that food. Just so you are clear, there were several other delicacies that I just did not have the space for. For example, the deep-fried live Soon Hock, the fried prawns coated with salted egg yolk and baked Kurobuta pork with the chef's special coffee glaze all sounded very nice. I am leaving them for the next time here! 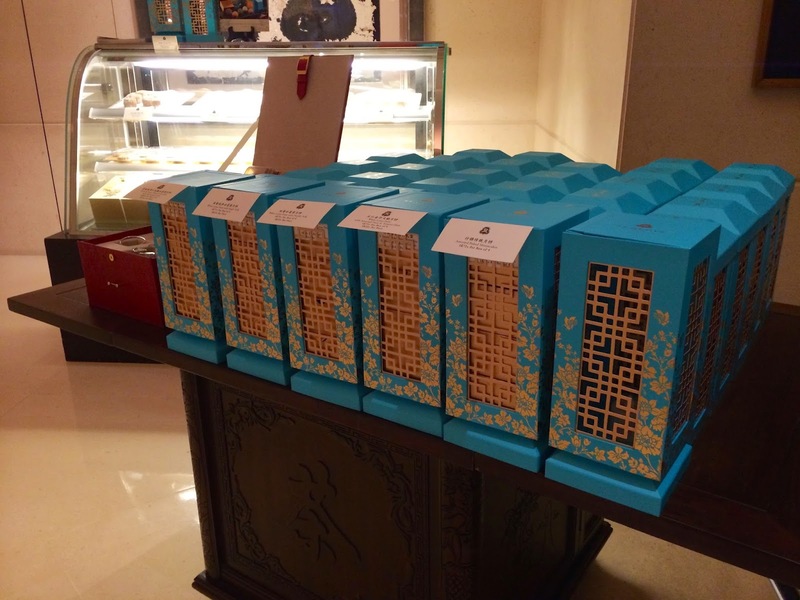 Like every fancy hotel in this part of the world, they had boxes of nicely packed mooncakes outside the restaurant for those celebrating the upcoming Chinese mid-Autumn festival. 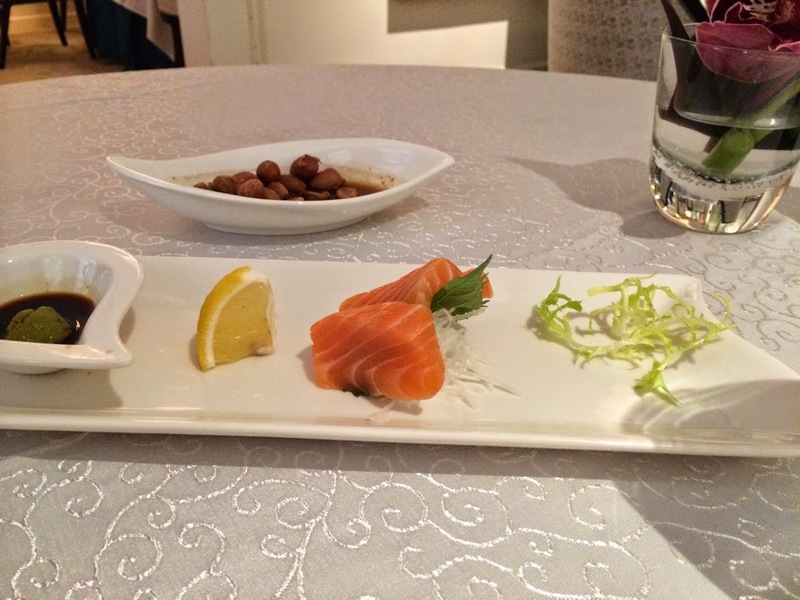 In summary, I recommend the Yang Ting for a high-end Cantonese culinary experience that combines both the classical and the contemporary in a very effective manner. Just make sure to bring in an appetite, there is so much goodness here that you don't want to miss.